Gary Keville Transport LTD are the established leader in Ireland for providing heavy haulage and self loading / offloading solutions to logistics and construction management across a wide range of sectors. GKT provide forklift rental for your heavy lifting requirements. 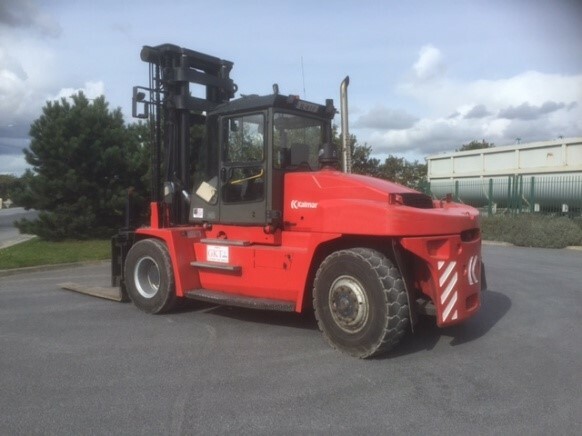 GKT are situated close to the M50 at Ballycoolin and have a depot at Dublin’s Docklands, offering country wide delivery and collection of heavy lift forklifts. We offer forklifts from 9 tonne to 15 tonne, and will have the right forklift to suit your specific needs. Every client has different requirements and GKT will tailor each hire to suit your specific needs. We deliver your forklift to your chosen destination anywhere Ireland, offload the forklift and provide the driver to operate the equipment. At the end of the hire period the machinery will be loaded onto our machinery transport trailer and transported to our base. Our highly experienced team of mechanics at GKT will ensure our fleet is regularly serviced and kept in pristine condition, ready for every hire period. We inspect and service after each hire period. 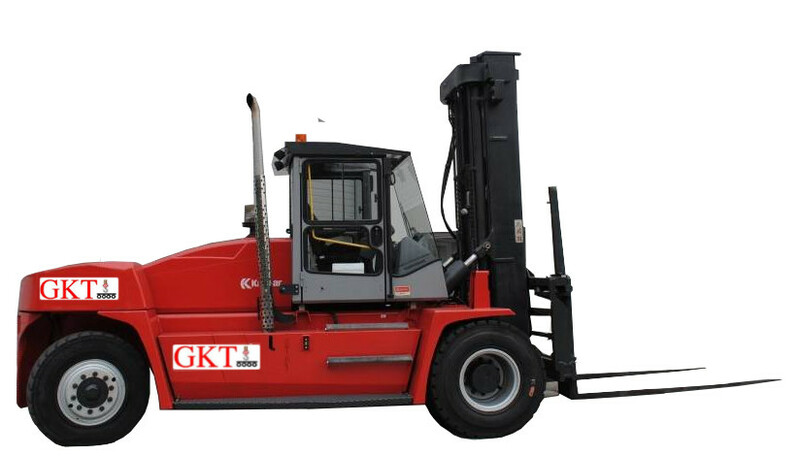 GKT forklift hire specialize in the hiring of lifting equipment, specifically heavy lifting equipment. With over 25 years as leaders in the heavy haulage industry GKT are experts in the area and can offer a full delivery and collection service anywhere in the country, and we provide a highly trained expert driver to operate your hired forklift. Every client’s needs are different. We can tailor your forklift hire to suit your own needs. 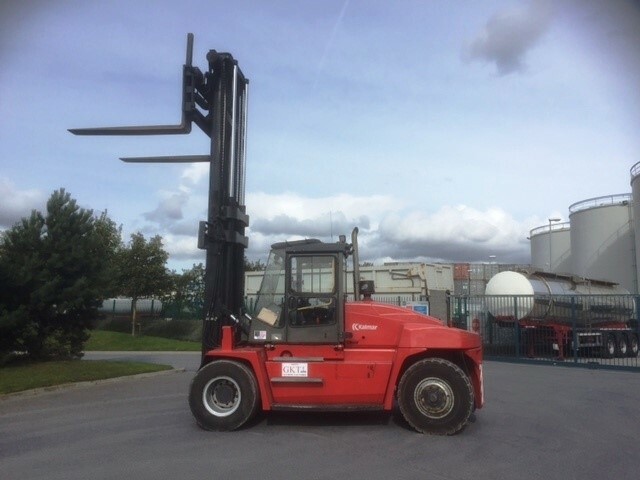 As well as delivery, off and on-loading, collection and provision of a forklift operator, we can provide transport for your lifted equipment should it be required. Our experience in the heavy lifting and transport industry is second to none, and health and safety is always at the forefront of our business at all times. With our large range of heavy haulage tractor units and trailers, we will transport your forklift and offload at the site of your choice. 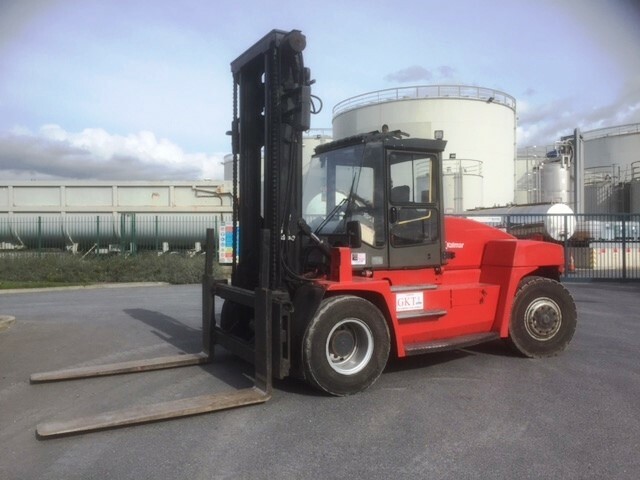 We will load the forklift onto our machinery transporter at the end of the hire period and transport it back to our base in Dublin’s Docklands. 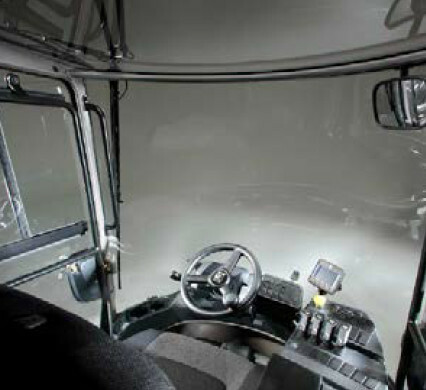 The EGO cabin’s excellent 360° view makes it safe and easy to operate the big wheel forklift. The work console is easy to use and understand. All the necessary controls, switches, levers and indicators are easily accessible. With 25+ years experience in the industry, GKT are well equipped to provide each of our clients with a fully tailored solution that matches the client’s needs exactly. 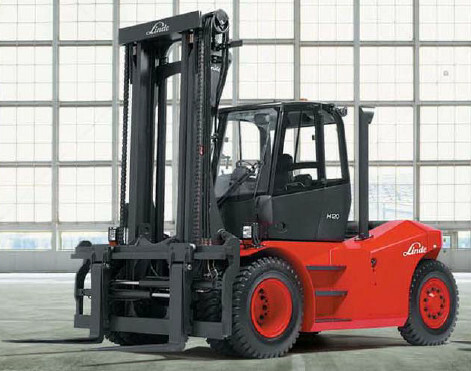 We offer heavy duty forklifts from 9 to 14+ tons, a collection and delivery service, and provide an expert forklift operator with every forklift. At GKT we have pioneered a ‘total transport concept’, a system which allows the client to save money and time and can be applied to our forklift hire. As well as delivery and collection, we can provide a full transport service for the items that are to be lifted. Safety is at the forefront of everything that GKT do, and we can advise our clients on safety regulations that relate to any lifting project they may be undertaking.